The secret to taking control of your retirement in 2016 and making this phase of life a grand adventure, even if your retirement nest egg is modest, is expanding your horizons. Take your retirement global and you can maximize your quality-of-life return for every dollar spent. For the third year running, Algarve, Portugal, is our pick for the world’s best place to retire, thanks to its low cost of living, low cost of real estate, great weather, established expat community, user-friendly and low-cost retiree residency program, and endless options for how to meaningfully fill your days and evenings. The cost of living in Portugal is among the lowest in Western Europe, on average 30% lower than in any other country on the Continent. The affordable cost of living and of real estate is compounded right now by a weak euro, meaning a retired couple could live here comfortably on a budget of as little as $1,500 per month. With a budget of $2,000 per month or more, you could enjoy a fully appointed lifestyle in the heart of Old Europe. Belize is one of the quirkiest countries in the world. Geographically, Belize is in Central America, yet its strongest ties are to the English-speaking Caribbean. 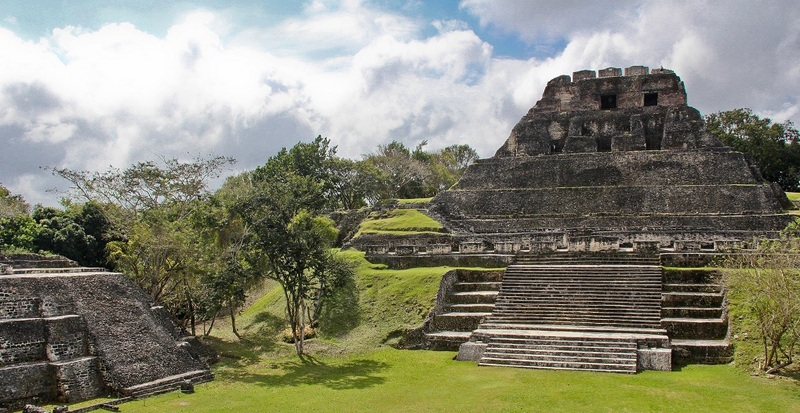 Belize is Caribbean, Central American… and, thanks to its history as a former colony, British. Belize City’s roadways are built around a system of roundabouts, but shops alongside them sell rice, beans and tortillas still ground by hand. Everyone you meet speaks English (it’s the country’s official language), but this belies the stories of their origins. The 350,000 people populating Belize today are descendants of migrants from Britain, yes, but also, more so, the surrounding Central American countries. You’ve got Mexicans, Guatemalans, Hondurans and Nicaraguans mixed with current-day generations of the Maya who originally inhabited this land, the pirates who came later, the Mennonite farmers who began arriving on the scene in the 16th century, the British who ruled until 1981, and each other. Twenty years ago if you told suggested that drug- and crime-ridden Medellín would be cleaned up and considered one of the world’s best places to retire just two decades later, no one would have believed you. But that is the case. Medellín is not only no longer unsafe or unsavory, but it is establishing a name for itself as one of the world’s most progressive cities. In 2012, The Wall Street Journal made it official by naming Medellín the Most Innovative City in the world for that year. What makes Medellín so innovative? It is a combination of unique public transit infrastructure, well-used and much-loved public spaces, and the accessibility of technology and Internet throughout the city. In addition, Medellín is a city of parks and flowers, pretty, tidy, and architecturally pleasing. Most every building is constructed of red brick and topped with red clay roof tiles. The overall effect is delightful. Medellín is both an industrial, economic, and financial center for this country and a literary and artistic one. Newspapers, radio networks, publishing houses, an annual poetry festival, an international jazz festival, an international tango festival, an annual book fair, and, back in 1971, Colombia’s answer to Woodstock, the Festival de Ancon, all have chosen Medellin as their base. Thanks to its mountain setting, Medellín is one of a handful of cities around the world that bill themselves as lands of eternal springtime. This means no heating or air condition required and, therefore, controlled utility costs. Furthermore, the medical care in Medellín is excellent, with 5 of the 35 best hospitals in Latin America located here. The retiree who has dreamt of France but who can’t afford Paris should consider Pau. A couple could retire here on as little as $2,000 per month. Old ladies in pinafores bring their chairs outside and sit in gossipy groups, stringing onions into plaits. Instead of playing computer games, young boys are outside playing soccer. Families shop at open-air markets, not hypermarkets, and if they don’t produce their own wine, they buy it from local vineyards. 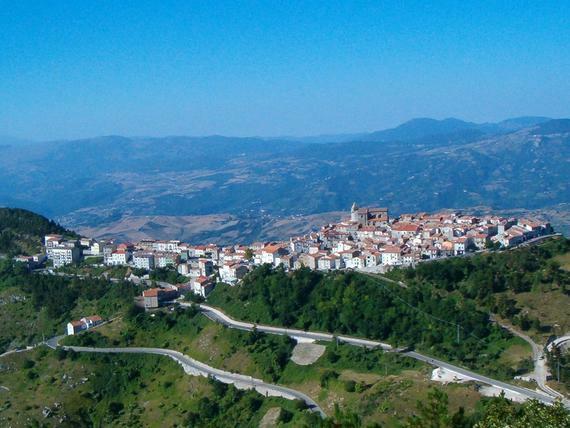 Relatively unknown to foreign visitors, the sparsely populated Abruzzo is where central Italy merges into the languid realms of the deep south. Even though many parts of the area are only an hour’s drive from Rome, it clings onto its secret feel. Food is important in the Abruzzo, as it is everywhere in Italy. In most trattorie, everything is home-cooked and just like nonna (grandmother) used to make. In fact, sometimes, nonna still makes it. On the coast, dishes feature fish; inland, the cuisine becomes heartier, based on roast kid, baby lamb, and wild boar. This delightful and culturally rich region of Italy is also one of Europe’s best bargains. A couple could retire here on as little as $2,000 per month or less, including rent. 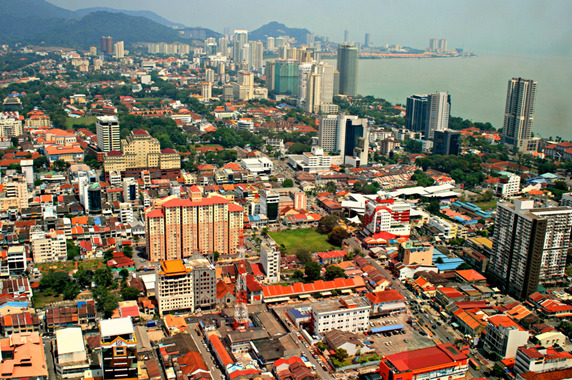 Penang in general and George Town in particular have a great deal to offer the would-be expat and foreign retiree. The natural surroundings are beautiful, and you have many options for how to spend your time. In addition, Malaysian immigration laws are welcoming, including for retirees. For these reasons, thousands of foreigners, both working and retired, have settled in the area, creating a network of support for others who’d like to follow in their footsteps. The city has grown a great deal in the 200 years since, but it has not lost its colonial flavor. Wandering around the historic downtown, it’s easy to imagine yourself living in another era and, as well, another place. Here, you’re in old China. Around the corner, you could be in India. Another neighborhood is reminiscent of an old Malay village. Impressive British-colonial buildings serve the same functions as they did more than a century ago; they are banks, churches, and residential mansions. Many of the dilapidated Chinese shophouses have been scrubbed, painted, and renovated into attractive hotels, community centers, cafes, galleries, and private homes. The city is home to at least a dozen museums. Venues for indulging in high culture include the Penang Philharmonic, ProArt Chinese Orchestra, Performing Arts Center, and the Actors Studio at Straits Quay. Free concerts are offered in various locations across Penang Island during the summer months. Jungle parks reveal secluded beaches and indigenous wildlife. Amusement parks provide family fun. Expat clubs meet regularly to serve the large and growing foreign community. And everywhere are eateries serving delicious and inexpensive gourmet fare. When the sun goes down, cooking smells permeate the air and tables fill with enthusiastic diners from around the globe. Unless you’re eating in an upscale restaurant, you can eat very well for about $3 per person. The final landing place in the New World for Christopher Columbus and his crew in 1493, today the Dominican Republic is a white-sand haven that is surrounded by warm turquoise waters and enjoys year-round sunshine. This affordable island paradise boasts not just beaches—both remote and resort—but also virgin jungle and mountain hideaways (often with ocean views). The Dominican Republic is the Caribbean but more, a melting pot with an eclectic population and a diverse history informed by Afro-Antillean, European, North American, and Latin cultures. This not-so-little island is one of the most affordable spots in the whole of the Caribbean, a place where you could embrace a white-sand retirement even if your retirement nest egg is nothing more than a monthly Social Security check. If you can swing a travel budget, island-hopping around the Caribbean could be your new retirement hobby from this convenient base. The Dominican Republic makes establishing residency easy, and the country embraces — even rewards through incentives—foreign investors. Residents are eligible for local home financing, can import household goods and a car tax-free, and can qualify for citizenship (and thus a second passport). As a fun bonus, residents pay for higher education in pesos, while nonresidents pay in dollars. If you’re looking to take a class or two in retirement, the cost would be trifling. In addition, residents can and do work here. Some expats own and operate gyms, hotels, boating and surfing schools, restaurants, boutiques. Others capitalize on skills from previous lives and careers, skills that are often much needed and valued locally (pool building, architecture, mechanics, etc.). Others offer consulting services for overseas clients or run websites with overseas client-bases. These enterprises often fully fund the expat’s local lifestyle. Las Terrenas, once a hamlet and still largely unknown among North Americans, was discovered in the 1970s by Europeans looking for an affordable Caribbean getaway. Today, Las Terrenas is a vibrant international community with residents from all over the globe, including French, German, Polish, Swiss, Italian, Dutch, and British expats. The eclectic population means you can find exotic food imports from Europe in the supermarkets, freshly made Swiss cheese and German sausage at the local shops, excellent international restaurants, and an active and mixed group of folks to welcome you to their well-established community. The Las Terrenas property market bubbled through 2008 then crashed, and prices remain down. You could buy a loft-style apartment, ready to move into, for less than $100,000, a townhouse in a gated community for less than $200,000, or a private villa for as little as $250,000. If you’re looking for to retire overseas on a budget and live better for less, Cuenca, Ecuador, can be hard to beat. This is a beautiful colonial city in a fascinating and diverse country. The historic center measures roughly 12 by 20 blocks, big enough to be interesting but contained enough to be manageable without having to invest in owning a car. Many of the Spanish-colonial structures that line the streets of central Cuenca are given over today to cafes, restaurants, bars, and bookshops, operating alongside the traditional butchers, tailors, repair shops, and bakeries. At the heart of the city is the town square, anchored by the original cathedral at one end (dating to 1557) and the “new” cathedral at the other (dating to the 1800s). Perhaps the biggest appeal of Cuenca is its cost of living, which is among the lowest in the Americas. Real estate prices, too, are rock bottom, if you’re interested in owning a home of your own in retirement. The health care is high quality, honest, and, like everything else here, inexpensive. The climate is temperate 12 months a year, and the city’s large and growing expat community is one of the most diverse and well-blended in the world. 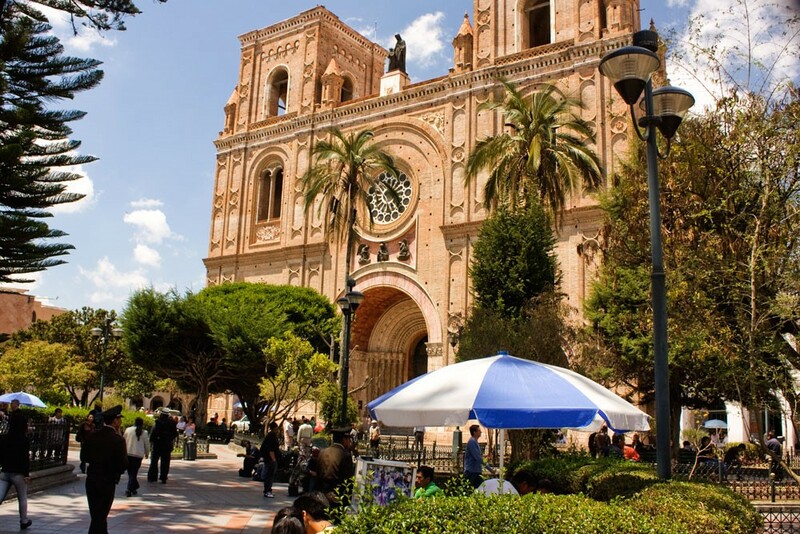 Cuenca offers the retiree the interesting and engaging colonial-city lifestyle it has long offered. However, for 2016 it does not rank among our top 5 picks. A soaring U.S. dollar makes other more fully appointed lifestyle options more affordable than they’ve been in many years and more affordable than Cuenca is today. In addition, the infrastructure of Ecuador in general cannot compare or compete with that in Portugal, Colombia, France, or Italy, all of which do make our top 5 for 2016. Thailand has some of the best beaches in the world, lush mountains and jungles, a laid-back, welcoming culture, and a foreigner-friendly infrastructure. Thailand also has one of the world’s lowest costs of living. For these reasons, tens of thousands of foreigners have settled in this country, including in Chiang Mai. Chiang Mai offers not only a super low cost of living, as does Thailand in general, but also great weather, less typical in this country. The high-quality health care and health-related services are also big pluses for foreign retirees, as are the city’s modern infrastructure and abundance of Western amenities. 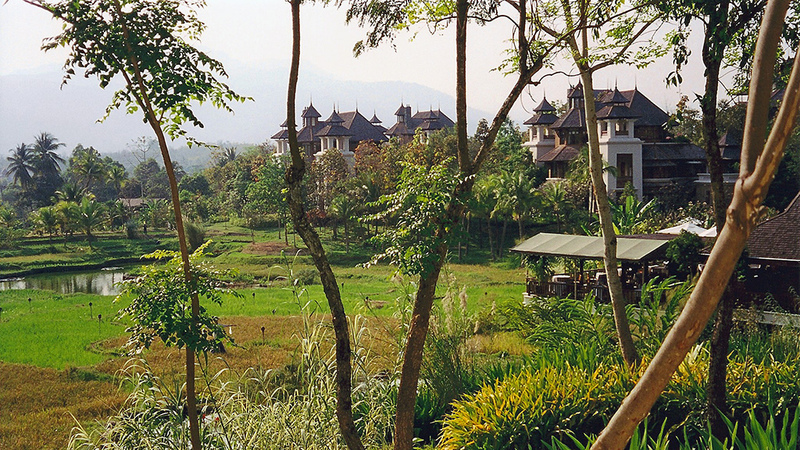 Chiang Mai is a place where it can be possible for foreign retirees to find work if they’re interested in supplementing their retirement nest eggs or simply looking to become involved in their new community; many Westerners are employed in Chiang Mai in language schools, universities, medical facilities, and tourist-related industries. It used to be possible to stay indefinitely in Thailand with a tourist visa, making visa runs to a neighboring country every month or so. However, the relevant laws were changed a few years ago. Now a foreigner who wants to live in Thailand long-term needs a visa. No problem, as Thailand now offers several attractive residency visa options. Mexico is a big country with two long coasts, mountain towns and colonial cities, plus Mayan ruins, jungle, rain forest, rivers, and lakes. It’s also the most accessible “overseas” haven from the United States. You could drive back and forth if you wanted. For all these reasons, Mexico is home to the biggest established populations of American expats in the world, making it a great choice if you seek adventure with the comforts of home. Mexico is no longer a super-cheap option, but it is our top pick for enjoying a luxury coastal lifestyle on a budget, in Puerto Vallarta. Puerto Vallarta is more expensive than other places where you might consider living or retiring overseas, but in Puerto Vallarta that’s not the point. This isn’t developing-world living. This stretch of Mexico’s Pacific coastline has already been developed to a high level. Life here can be not only comfortable but easy and fully appointed, with world-class golf courses, marinas, restaurants, and shopping. This is a lifestyle that is available only on a limited basis worldwide, a lifestyle that is truly (not metaphorically) comparable to the best you could enjoy in southern California if you could afford it. Here you can afford it even on an average budget. Until the 1950s, Puerto Vallarta was a small fishing village, modestly popular among Mexicans as a beach resort. In 1963, “The Night of the Iguana” was filmed just south of Puerto Vallarta. The film’s star, Richard Burton, was involved with Elizabeth Taylor at the time. She followed him on location … and the paparazzi followed her. Suddenly Puerto Vallarta was all over the news — and on the map, as far as Americans were concerned — and it’s remained there since. At about this time, the Mexican government began to invest heavily in infrastructure making Puerto Vallarta more accessible and attractive as a destination. 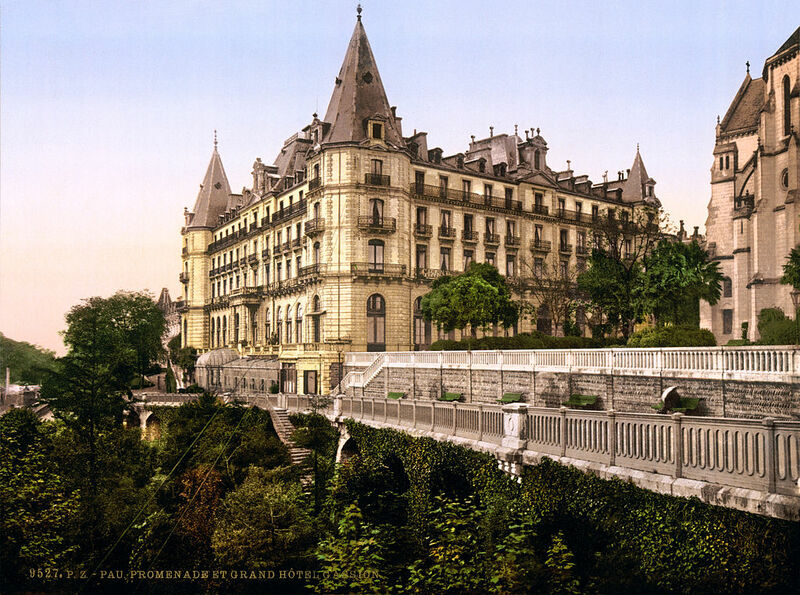 Luxury hotels began to spring up, and Americans began to flock here. 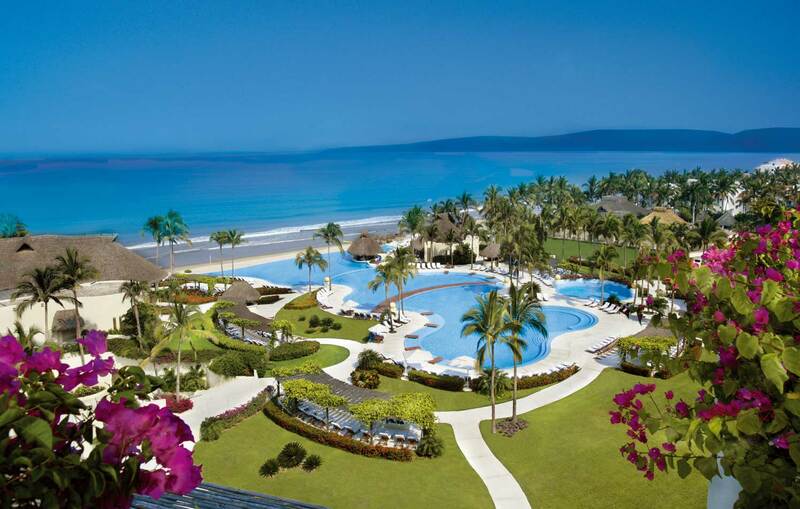 It is also one of Mexico’s most cosmopolitan beach resorts. Fully half the population works in the tourism business, so English is widely understood, a boon for those of us who speak little or no Spanish. A whole range of services has sprung up to cater to English-speakers, including everything from gourmet shops and restaurants to clothes design and medical care. As a result, Puerto Vallarta today is home to more than 40,000 expats and foreign retirees. This is one of the biggest and most welcoming expat communities of expats anywhere in the world. You probably won’t be able to live well here on Social Security income alone; however, if your retirement budget is a bit bigger and you dream of retirement on the Pacific Ocean, Puerto Vallarta deserves your attention. 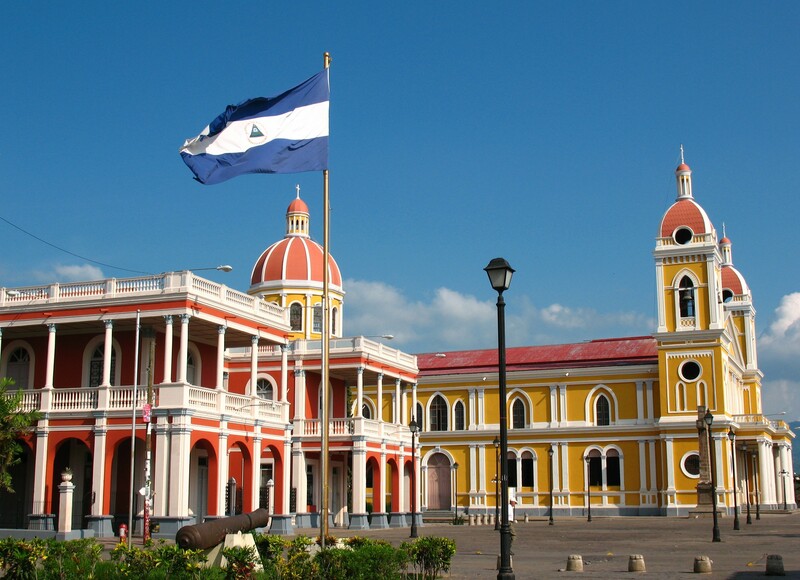 A Spanish-colonial city can be a great choice for retirement, and Granada, Nicaragua, is perhaps the queen among all Spanish-colonial city options. At the heart of this city, radiating from the central square, is a great variety of classic and charming Spanish-colonial homes with high ceilings, painted tiles, and private center courtyards. The best part is that you can own one for as little as $40,000. Founded in 1524, Granada claims to be the first European city founded in mainland America, so it’s a truly old colonial city rather than a semi-modern lookalike. It’s named after the ancient city of Granada, Spain, and shares some of that city’s Moorish architectural influence. Granada sits at the north end of Lake Nicaragua, with beaches near town and a group of small private islands just offshore, and just south of Lake Apoyo, Nicaragua’s largest volcanic crater lake. The international airport at Managua is a little less than an hour to the north, and the Pacific Ocean lies a little more than an hour to the west. It’s obvious as soon as you arrive: Granada is one of most carefully restored and preserved colonial cities in the Americas. It sees a good number of international travelers and has a sizeable expat community. These two things combine to account for the city’s wealth of upscale hotels, fine restaurants, and well-kept buildings, making living here comfortable and interesting. Granada enjoys many services and amenities that a city of 120,000 would not ordinarily have. Granada is completely walkable. Everything you need is close at hand via attractive, level streets. The city enjoys good connections to the United States from the nearby airport in Managua; Miami is but two hours away. Perhaps best of all, Granada still feels authentically Nicaraguan. You see old oxcarts lumbering through the streets, restaurants serve local delicacies, and street vendors offer pottery handmade according to traditions that date back centuries and have been passed down generation to generation. The city is a unique blend of native Nicaraguan city life and expat amenities. Finally, Granada qualifies as one of the world’s most affordable retirement havens. A retired couple could live here comfortably on a budget of as little as $1,200 per month. And Nicaragua offers the world’s most affordable retiree residency visa program; you qualify with as little as $600 per month of retirement income. One of Panama‘s greatest assets is its beachfront. This is a little country with two long coasts and several clusters of outlying islands, meaning lots of different beaches, Pacific and Caribbean, touristy and undiscovered, developed and emerging, accessible and remote. 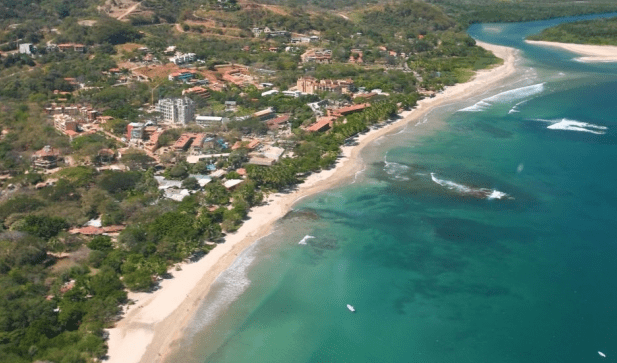 Among them all, the most convenient and comfortable is the stretch of Pacific coastline known as the “City Beaches,” thanks to their proximity to capital Panama City. This strip of Pacific beach communities stretches from Chame to Playa Blanca. These are the beaches you can most easily escape to on a regular basis, and many Panama City residents do, driving out on Friday afternoons and returning Sunday evenings (making for mega-traffic headaches on the Pan American Highway and crossing the Bridge of the Americas during those times). The most developed, established, and fully appointed beach community along this stretch is Coronado, about two hours from Panama City. This fast-growing coastal region offers a high quality beach lifestyle with all amenities and services you could want. Coronado town has developed into a busy commercial center that makes for a turn-key retirement choice, and, indeed, this is the direction this former weekend retreat is evolving into a full-fledged retirement community with an established population of full-time foreign residents supported by a developed infrastructure, including good medical facilities. Coronado is an affordable place to live but not as cheap as other top beach choices in this country. The trade-off is access. The more affordable choices are also more distant from Panama City. One of the biggest advantages of the City Beaches area is that it’s in Panama. Panama has held the position of world’s best country for retirement for more than a dozen years. Panama uses the U.S. dollar for its currency, meaning retirees with retirement incomes in U.S. dollars have no currency-exchange risk or worry. Medical care, particularly in Panama City is international-standard and affordable. And the country offers a gold-standard retiree residency visa program. Coronado, only about an hour outside Panama City, offers the most turn-key and most expat-ready ocean-front lifestyle available in Panama. Foreign retirees living in Coronado have already paved the way, making it easy for other retirees to follow, and, retired here, you wouldn’t have to learn to speak Spanish if you didn’t want to.